Apparently, lions can fly. 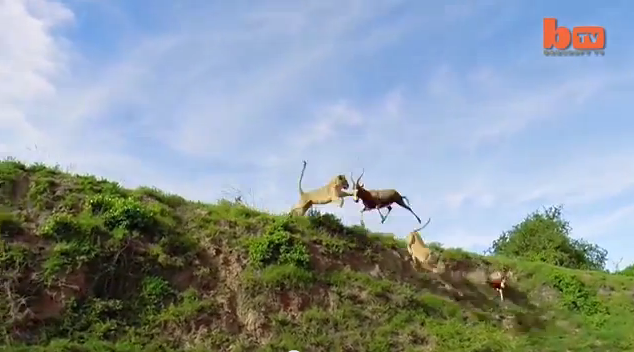 In this amazing footage, a lion leaps several feet into the air to catch an antelope that's trying to escape. In a dramatic ambush, two lionesses waited on a ridge while a couple on antelopes were heading their way. One lioness attacked first but missed when the antelope leaped to the air in an attempt to escape. The other lioness then leaped after the escaping antelope, catching it by the neck mid-air.